Piano Sonata No. 2 "Concord, Mass., 1840-60"
Andrew Rangell, who has previously recorded J.S. Bach, Beethoven, Chopin, and Eastern European folk music for the Steinway & Sons label, now turns his attention to composers of the early 20th century for his latest album release. 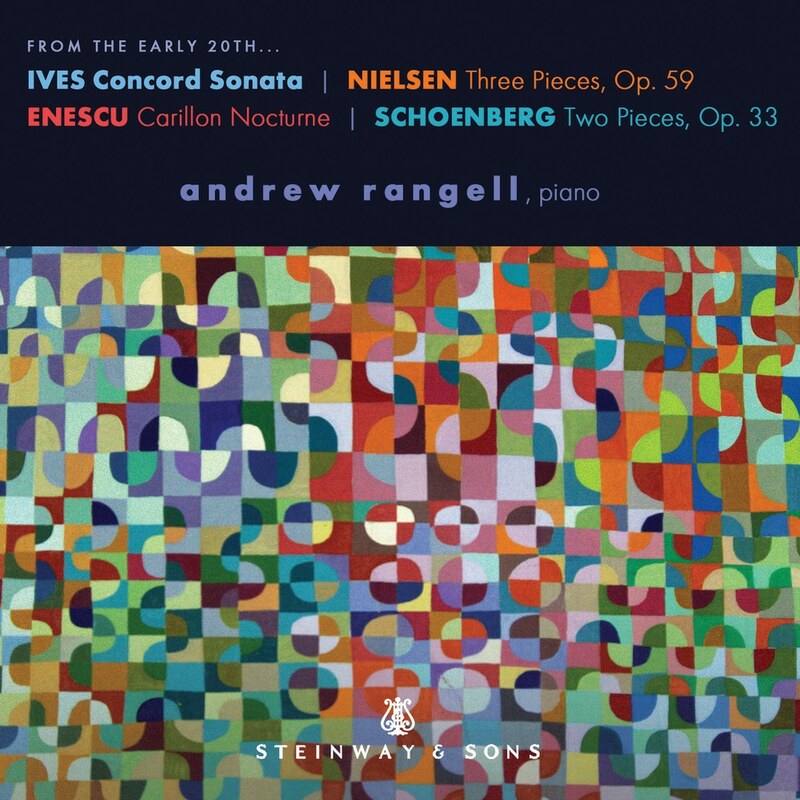 The centerpiece of the album is Charles Ives’ Concord Sonata, whose “monumental cussedness, tenderness, and imaginative daring epitomize the character and gifts of its Yankee creator,” in Rangell’s words. Rangell makes the work his own through several idiosyncratic executional decisions, including playing on piano the optional viola part at the end of the “Emerson” movement; using his own forearm instead of a block of wood for the black-key tone clusters in “Hawthorne”; and in “Thoreau,” whistling the optional flute solo. “I hope there may be, in this species of self-reliance, something of Emerson,” writes Rangell. Framing the Concord Sonata are three shorter works from Ives’ contemporaries, including the final piano works of Arnold Schoenberg and Carl Nielsen; and George Enescu’s “Carillon Nocturne,” written at the same time as the Concord, and which Rangell sees as a spiritual counterpart to Ives’ “Thoreau” meditation.